This chicken soup recipe is a popular soup recipe for many. 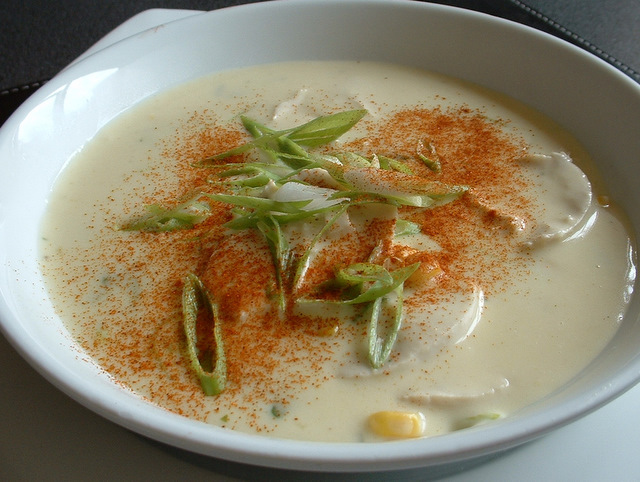 This recipe for chicken soup includes sweetcorn and makes a great tasting homemake chicken soup recipe. This french onion soup recipe is a great tasting soup recipe to make at home. 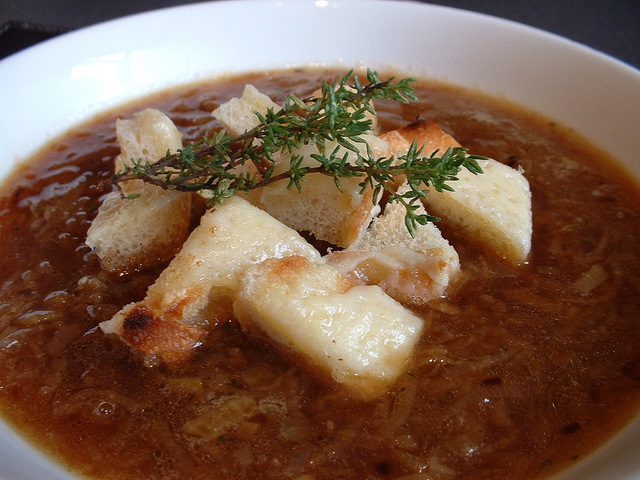 This onion soup recipe can be served with toasted bread flutes covered in melted cheese. 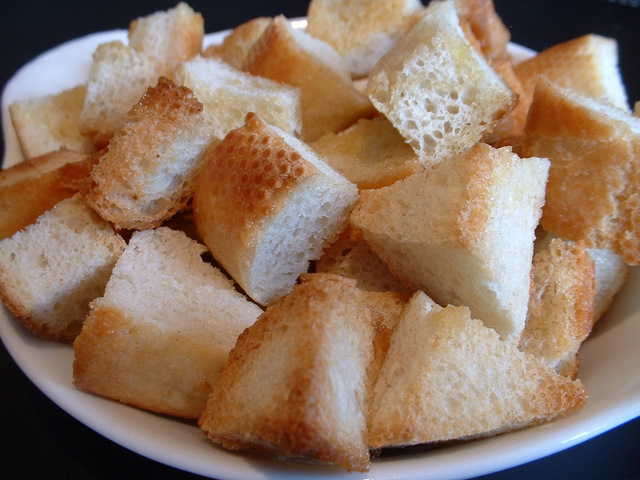 To make croutons, take a few slices of white bread. Cut off the crusts and cut the bread into small dice. Here, we show you how to make bread flutes. Bread flutes are great as a quick snack at any time and are great to serve with soup. 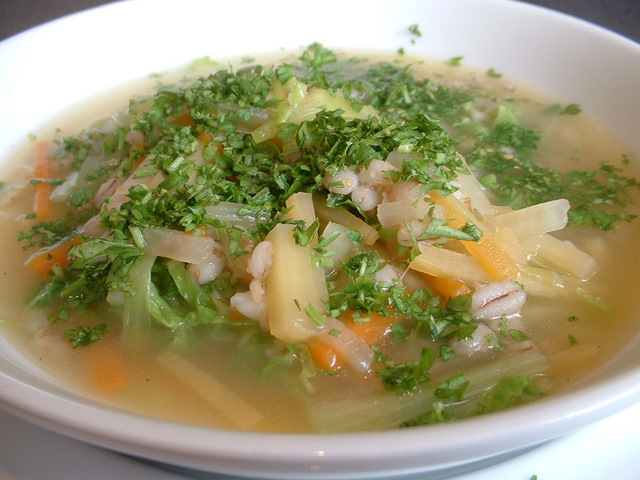 This soup recipe is for a vegetable soup, often called a vegetable broth. If looking for vegetable recipes, this veggie soup recipe will be ideal. 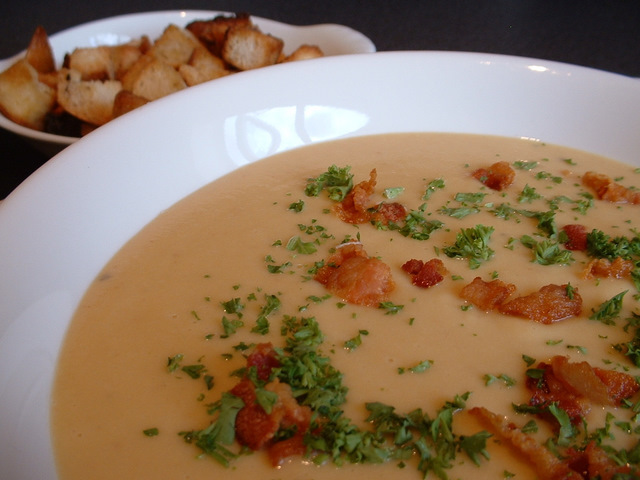 This potato soup recipe is for swede and potato soup. 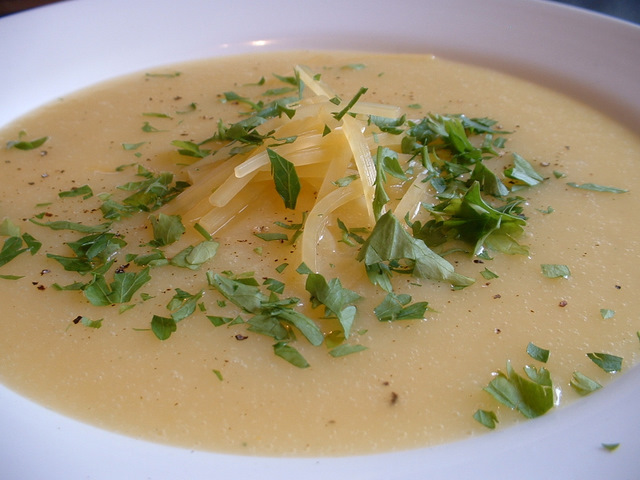 If looking for a simple soup recipe, this swede and potato soup will be ideal. This red lentils soup recipe is a great tasting lentils soup and is served with smoked pancetta. This red lentil soup could be served with smoked streaky bacon and croutons. 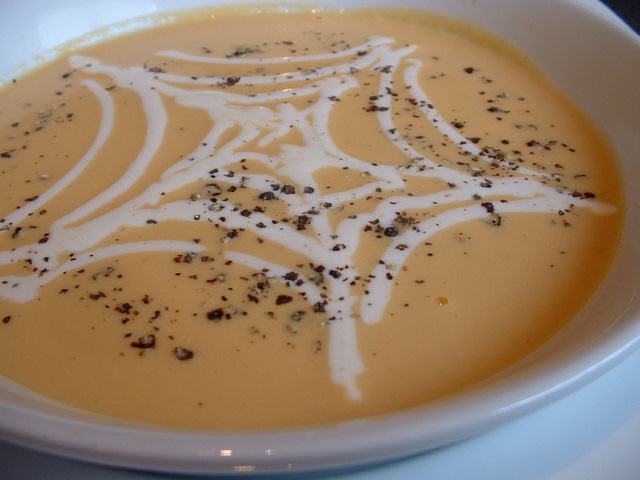 This soup recipe is a halloween favourite - pumpkin and sweet potato. 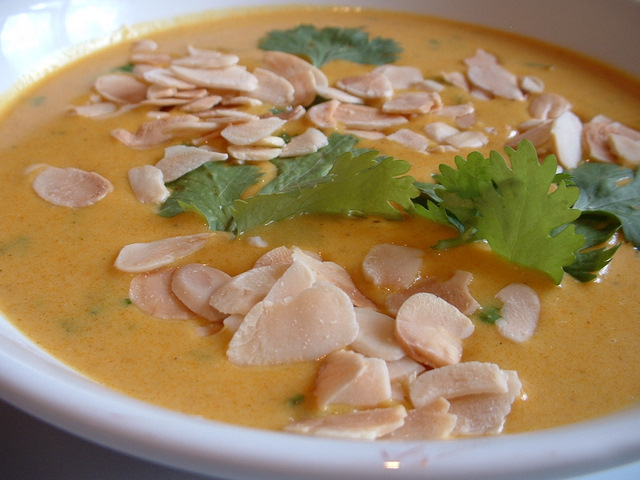 This pumpkin soup is great with sweet potato.